These little bags are made of luxurious satin. I’m offering 5 different colors to choose from. Each measures 3 by 4 inches. They use drawstrings to close. Many of my products are designed to fit in your pocket but you don’t want them rubbing against other items like your keys or coins. These bags will help protect these prize possessions and obviously help make for a nice presentation. 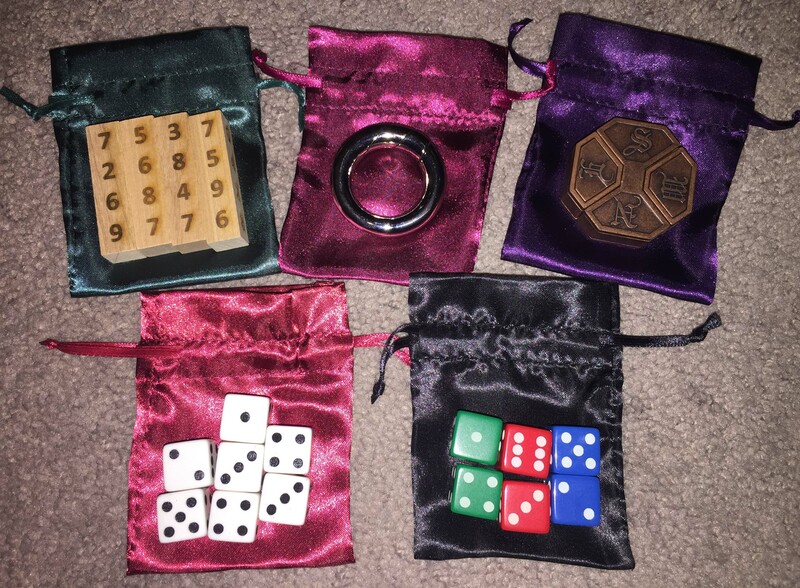 One bag will hold the: Cardinal Zen puzzle – Magic Circle puzzle – Magic Math Sticks – 7 Lucky Dice – Diamond Dice or my Delta Dice.